Due to many challenges we have encountered over the years with some of our hardscape projects, we have become very proficient in dealing with water issues and any legal restrictions pertaining to it. 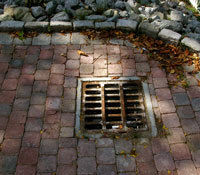 Water routing is often overlooked when creating a hardscape project. We have always made it our goal to determine any potential problem that may occur as a result of reshaping the land around a home. 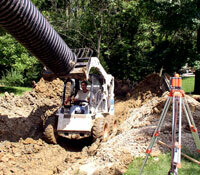 Past experiences have proven our effectiveness in resolving water or drainage issues. We feel that in many instances, the sealing of basements or installing expensive inside water removal type systems is unnecessary. 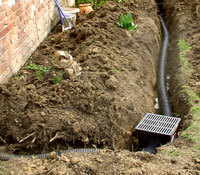 We also deal with issues of standing water in the surrounding landscape and slow drainage problems as well. The first step is to measure elevations to identify the source and problem areas followed by a plan composition created to address each situation. Our theory is very simple. Keep the water away from the structure. We offer guarantees that are specific to each project and will not engage in a task unless we are 100% sure that we can help the customer resolve some, if not all, of the existing water issue.